Parbati is a successful fulltime dance artist who regularly performs and engages in Akademi’s work. She teaches Kathak class at Siobhan Davies Dance Studios, for Pagrav Dance Company and Srishti. Parbati is also a ensemble member in Ascension and Bells, produced by Akademi. In 2017 Parabati was awarded a Choreography Commission by Akademi to create and present a solo work. 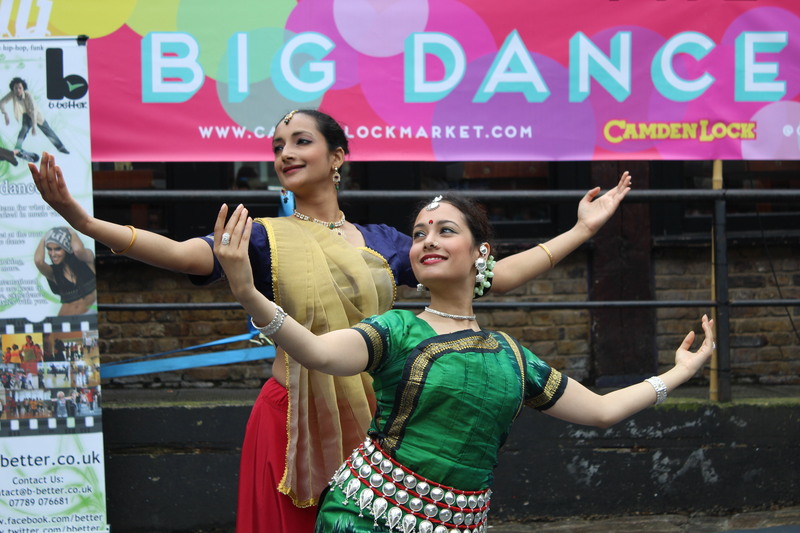 Natalie Rout and Parbati at Big Dance, 2014. I have been in contact with Akademi since 2007, when I first attended one of their annual Artist Auditions as a pretty self-conscious 17-year-old. Between then and January 2013, Akademi’s support and development opportunities have definitely influenced my decision to pursue dance full-time after completing my undergraduate studies. Parbati in Akademi’s Bells Revsited, 2012. In the summer after completing my degree, I was selected as one of three young dancers (alongside Iris Chan and Kavya Kaushik) to join the cast of Bells, Akademi’s renowned outdoor spectacle. This Artist Development opportunity was my first professional performance experience. I graduated in August 2012, and then took around six months to consider part-time career options related to my degree (BSc Biomedical Sciences), since I was aware that dancing full-time was going to be tough financially, especially in the beginning. However, I soon realised that it was going to be a compromise on all fronts unless I committed to one career path fully, and chose dance. I also started assisting Urja Desai Thakore (my Kathak tutor) in her Kathak classes. Having enjoyed both the rehearsal and production process of Bells and my initial teaching experiences with Urja, I communicated to Akademi that I wanted to be considered for both Performance and Education and Community work. In doing so, I have since been involved in various initiatives such as the peer mentoring at Chelsea & Westminster Performance and Patient Engagement Progamme, workshop leading for the Camden Schools Dance Festival (2014 & 2016), Sportivate (June-July 2014) and Spotlight (October-December 2014). I believed that once organisations like Akademi (which has been a vital link to the wider dance sector) and Urja knew that I was serious about dance, I would be considered more seriously and that was the case. One such opportunity was being selected for the R&D stage of Urja’s Pagrav Dance Company production, Detox, which went on to being presented as part of Akademi’s CHOREOGATA in February 2014. This whole production process involved grasping contemporary dance technique, which has helped me to start incorporating different dynamics to my dance practice too. Nina Head at Akademi was particularly encouraging after the CHOREOGATA performances and commended me on having taken myself out of my comfort zone. Another major turning point came in April 2014, when I was selected as Akademi’s 2014 NAVODIT, alongside Odissi dancer, Natalie Rout. 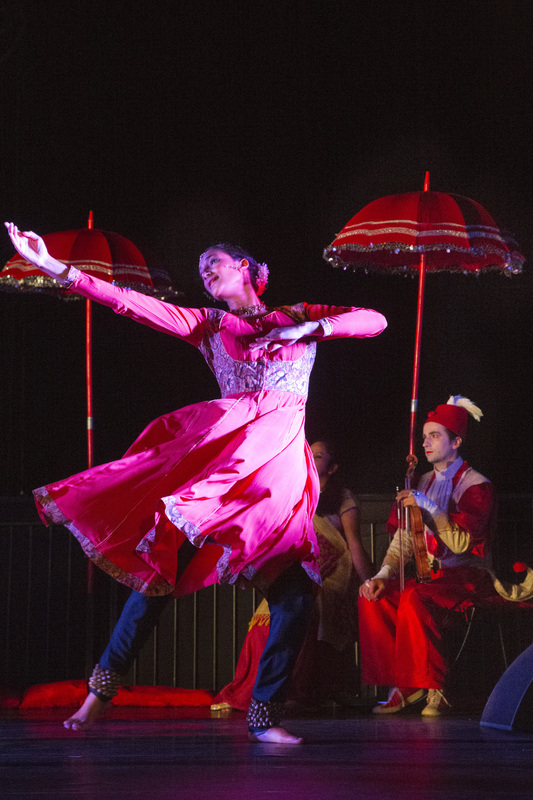 NAVODIT is an enriching programme for emerging dancers from across the UK, encouraging upcoming South Asian artists to showcase bold and adventurous takes on the grass root styles of classical Indian dance. Having been closely mentored through the whole rehearsal and production process, this performance opportunity allowed me to demonstrate (to myself also) that with little more confidence, I could hold my own as a solo performer. The accreditation and documentation of this performance has secured many subsequent performance opportunities since. 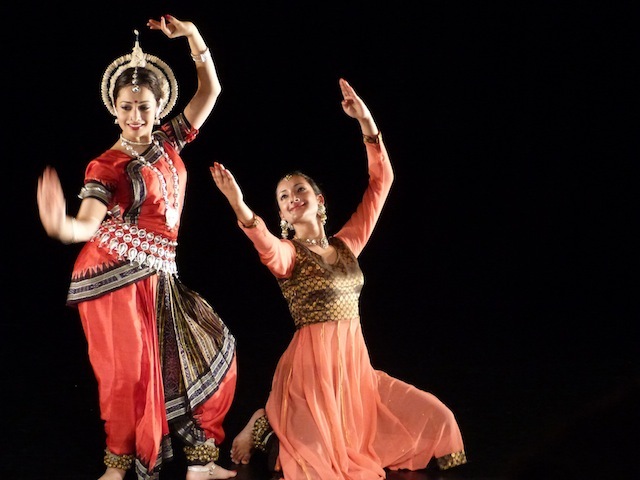 Natalie and Parbati in Akademi’s NAVODIT, 2014. Following on from NAVODIT, I always try to develop and challenge myself as both a performer and choreographer. Knowing that Akademi has certain platforms in place already, such as DAREDEVAS and UTKARSH, a young dancer like me feels reassured about where some stepping stones could vaguely lie in the future. Aside from Akademi’s own platforms, I know that I can always turn to them on anything related to my dance career and that I would receive honest, comprehensive guidance.